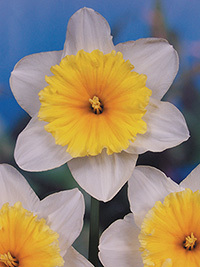 Spectacular white petals and a golden yellow cup. A darker coloured version of the popular Ice Follies. Early to mid season flowering, 35cm tall.